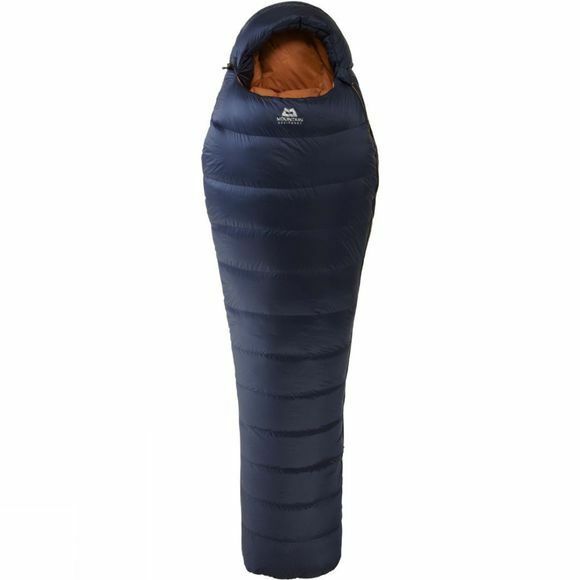 The Helium 400 Sleeping Bag Long from Mountain Equipment has been thoroughly optimised to ensure excellent warmth with minimal weight for a good night sleep. The slanted box-wall construction throughout the main body of the bag helps to shed any excess weight while also reducing the chance of any cold spots occuring. The mid-level side seams of the bag ensure great comfort whether it is laid on its front or its back, this is also reflected in the fill distribution, while there is a little more on the top than the bottom there is always sufficient enough to ensure comfort. An integrated neck baffle helps to reduce the amount of heat lost from inside the bag and the Trapezium 4, Sharks Toe foot box helps to maximise warmth and comfort to keep your toes toasty. 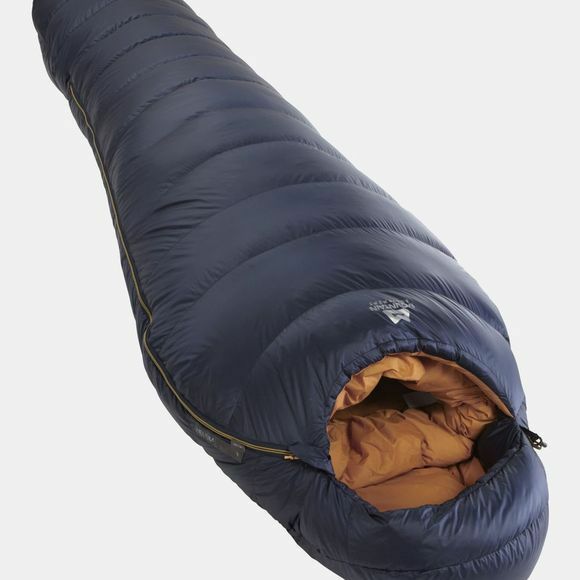 Each of these features has been carefully considered to provide a lightweight, warm bag that is ideal for cold weather backpacking adventures across the globe.